Heard Nothing But Horror Stories From People Who've Had A Root Canal? Don’t be afraid. While its true that some people do have a lot of pain after a root canal, this is the exception and not the rule. Most patients have very little discomfort following treatment…and no pain during treatment. When you arrive, you will be greeted by Rene (and maybe one of her dogs) who will get you all checked in. She will also go over fees and help you navigate your dental benefits and co-pay, if you have insurance. Once you are ready, Ashlee will bring you back, and Dr. Healy will provide a thorough consultation. He will first make sure that a root canal needs to be done, and if so, will go over every aspect of treatment with you, in plain English. We don’t start treatment until all of your questions have been answered, and you have complete understanding of what the treatment process will be. Again, the expectation is that you will not feel pain during treatment. And after treatment, while we expect you to be a bit sore, most patients will not have anything more than soreness after the procedure. Of course, this is influenced by the amount of pain you have before the procedure. If your tooth has been quite painful for a few days, expect a few more days for the pain to completely subside. Some procedures are done in a single visit; others are performed over multiple visits. Dr. Healy will advise you which is the case that he anticipates for your situation. It has everything to do with what’s best for the long-term prognosis of your tooth, and never affects the fee. Once the root canal is completed, you will need to return to your dentist for a final restoration of the tooth. This might be a filling, a crown, or repair of your existing crown if you already have one. This step is crucial, since the root canal must be sealed and protected if it is to last a lifetime. At our disposal is our 3D cone-beam unit, which has become the standard of care with endodontics. 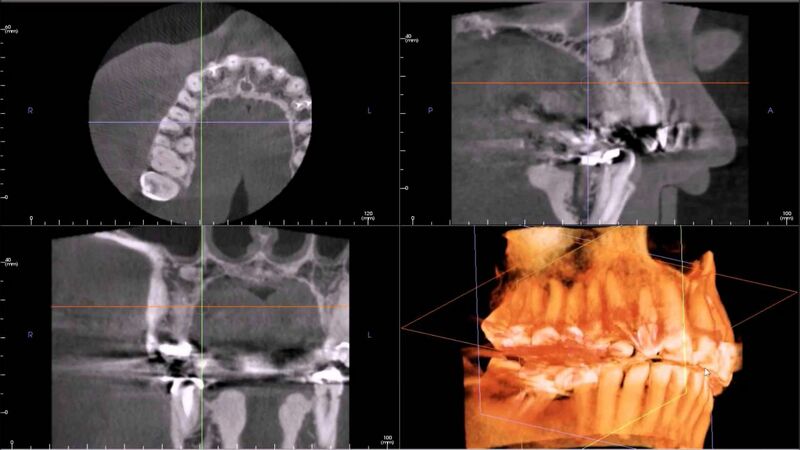 The problem with x-rays is that you get a 2D image of a three dimensional space…many x-ray exposures are needed to get a diagnostic understanding of what’s going on, and if you don’t get just the right angle you might be missing a lot. 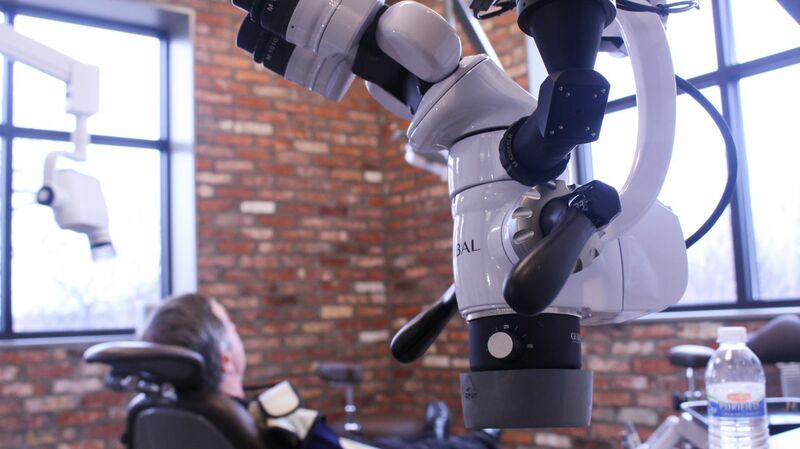 With the CBCT, Dr. Healy sees in real-time, an accurate three-dimensional picture of your tooth and all of the surrounding tissues. 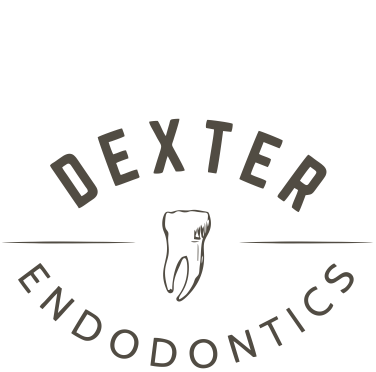 It has become an absolute game-changer with respect to the quality of care that can be delivered in endodontics. 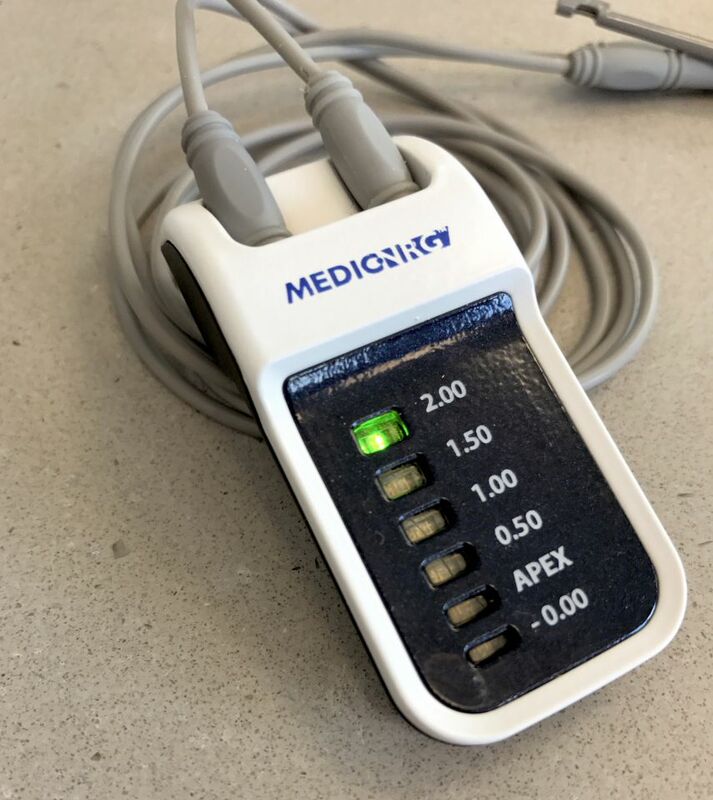 Because we use digital imaging, the amount of radiation you will be exposed to during treatment is lower than ever…less than you would be exposed to while spending a day at the beach, or while on a cross-country flight in an airplane. 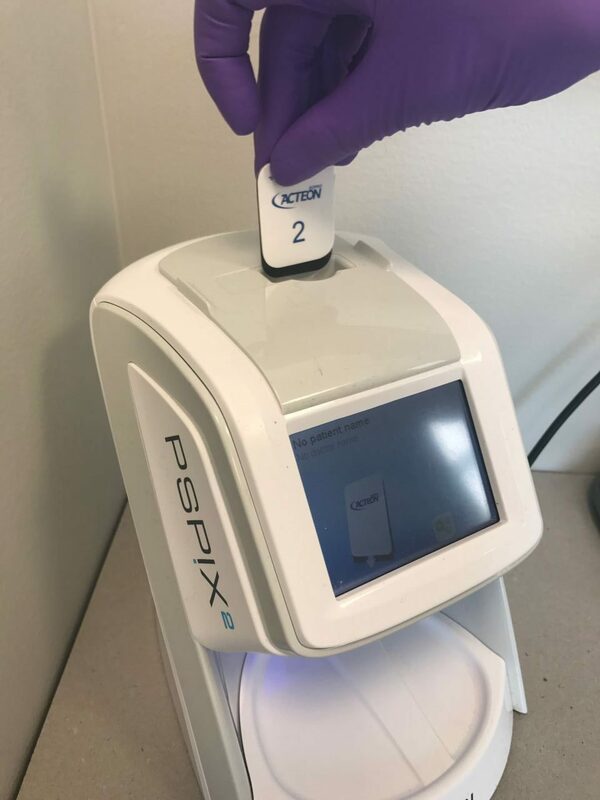 The NRG apex locator allows Dr. Healy to precisely measure the length of the roots of your teeth, without the need for additional x-rays. 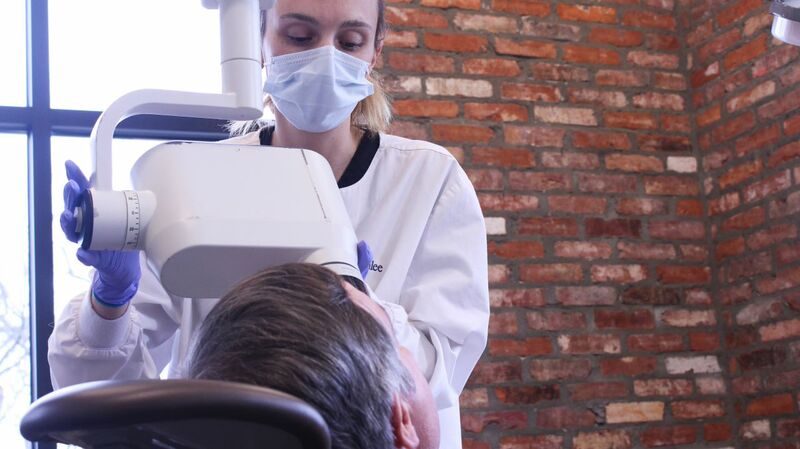 All procedures are done under an endodontic microscope, which is the standard of care. The microscope allows Dr. Healy to work under extremely high magnification, which means he can see all of the minute details of the root canal spaces. It also helps him to discover if there are cracks or fractures in the tooth, and allows him to be extremely conservative in the amount of drilling that needs to happen to access the nerve (dental pulp) and roots. When you call to schedule your appointment, we will ask a series of questions to determine when would be the best time to schedule your appointment. Of course, we want to get you in to our office in a timely manner. We do reserve time in our schedule for emergency patients that are having a lot of pain. If you are coming in for an examination only, your appointment is scheduled for an hour. If you wish to come in for the examination and start the root canal treatment, we schedule 2 hours for your first appointment. Do I need to bring someone to drive me home? Since your appointment may be 2 hours long, you may wish to have someone drive you home, but we do not use any types of medications that might inhibit you driving afterwards. Can the root canal be done in one appointment? After Dr. Healy completes the examination, he will determine if the treatment can be completed in one appointment, or if you will need to come back for additional appointments. When can I have my dentist finish his work on the tooth? We recommend that you have your family dentist complete the final restoration within 30 days of the completion of your root canal. If this is not possible, please discuss this with Dr. Healy. The cost of root canal therapy is dependent on which tooth you are seeing Dr. Healy for treatment on. We take all major credit cards, cash and checks. Each benefit plan is set up by your employer and the insurance administrator. It is hard to determine the exact benefit which will be paid until we have contacted your insurance administrator and inquire the percentage they pay, deductibles, annual allowances remaining, and fee schedules. Do you extend payment plans? We do understand that all healthcare can be an unexpected expense. We do request payment at time of service, but when there is more than one appointment, we can split the patient portion for you. We also offer CareCredit as an alternative payment method. If you wish to find out more about CareCredit, you can visit www.carecredit.com to apply. 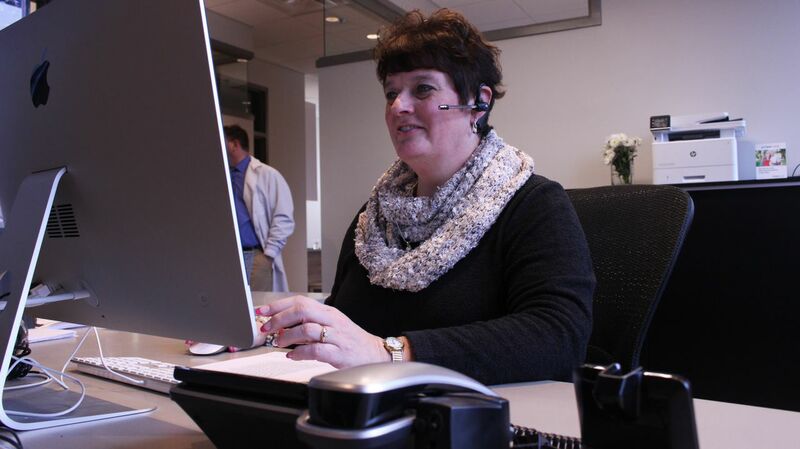 You may discuss all financial options with our office manager when you call.